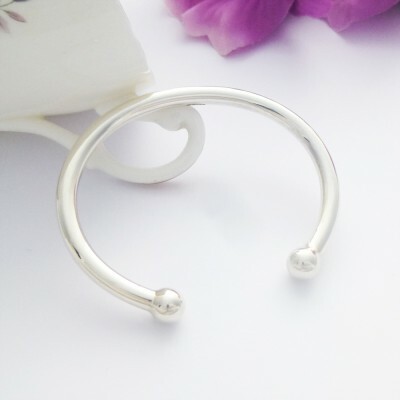 A traditional ball end, ladies solid silver torque bangle, handmade in the West Country! 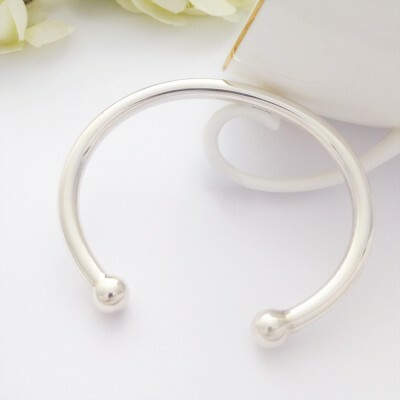 A beautiful, quality sterling silver bangle which is chic and timeless in it's design. 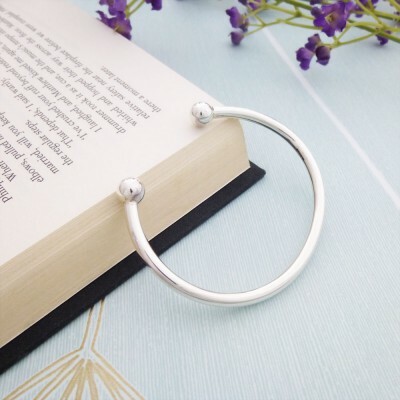 If you are looking for a gorgeous, quality sterling silver torque style bangle then you will not be disappointed with our Traditional Handmade Ladies Torque. The most perfect Christmas gift that all women will adore! Subject to availability, the Traditional Torque is available in small wrist and regular wrist sizes. The Traditional Ladies Torque Bangle measures approximately 60mm in diameter. 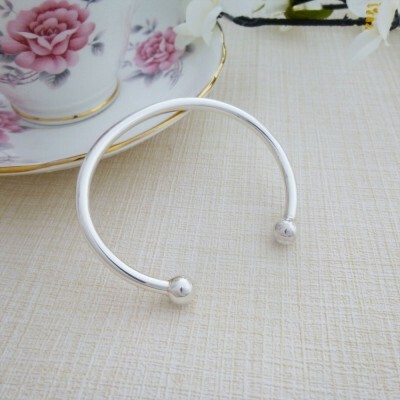 It features tradtional solid silver round ball ends. 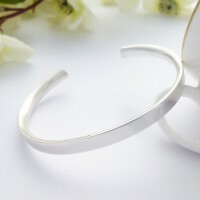 The approximate weight of this bangle is 36g.